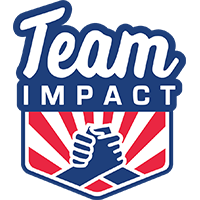 Team IMPACT is a national nonprofit that connects children facing serious or chronic illnesses with college athletic teams, forming lifelong bonds and life-changing outcomes. Through Team IMPACT, a child battling illness becomes an official (non-playing) member of a college athletic team, attending practices, games, team dinners and more. After two years with the team, the child graduates from the program with demonstrated improvements in their optimism, confidence and sense of belonging. Parents and siblings gain a community of support and a distraction from medical realities, and student athletes gain invaluable inspiration and perspective that will be carried with them long after graduation. Since 2011, Team IMPACT has matched 1,700 children with nearly 600 colleges and universities in 48 states, positively impacting more than 50,000 student athletes. The Marketing & Communications Coordinator is responsible for the day-to-day execution of all marketing and communications related activity, from social media management to website updates. He/she will report to the Director of Marketing & Communications, but will work in a cross-functional capacity, partnering with different departments based on individual needs. Design and edit marketing presentations, proposals, templates, etc. Video editing/production skills a plus! 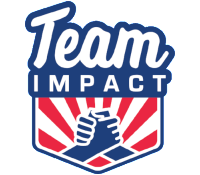 Team IMPACT offers a competitive salary and benefits, including health insurance, 401k w/match, and a generous PTO structure, commensurate with experience and skills. Team IMPACT is an equal opportunity employer. We are committed to cultivating an environment where diverse perspectives and backgrounds are embraced, acknowledging that a team reflecting diversity of race, color, ancestry, national origin, religion, age, gender, marital/ domestic partner status, sexual orientation, gender identity, disability status, and veteran status allows us to serve our communities better. To that end, we welcome and encourage applicants to bring their authentic selves when considering employment opportunities at Team IMPACT without fear or concern of discrimination/harassment.